"Melissa has an amazingly lovely and exuberantly warm manner. She immediately established trust and intimacy because of her person. Her authenticity and depth transmitted instantly. I immediately knew Melissa was the real deal." 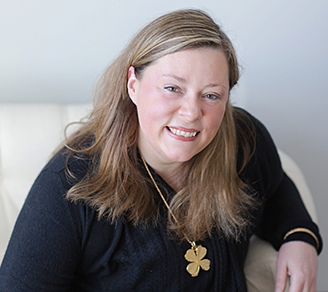 Melissa Erin Monahan, M.A., LCAT is a New York State Licensed Psychotherapist who masterfully guides Conscious Uncoupling clients worldwide to lovingly transform through separation or divorce. Trained and mentored by Katherine Woodward Thomas, M.A., MFT, author of the New York Times bestseller Conscious Uncoupling: 5 Steps to Living Happily Even After, she is a senior Conscious Uncoupling Certified Coach. Melissa infuses each session with her deeply authentic presence, good humor and soulful ability to help women and men transform heartbreak into an unprecedented opportunity: the chance to become the love they are aching for. Clients have emerged from the Conscious Uncoupling process with Melissa calling it nothing short of "miraculous" and "magical." A firm believer that Conscious Uncoupling often serves as a sacred prelude to magnetizing the love of one’s life, she is also a senior “Calling in "The One” Certified Coach. In her work with clients around the world, Melissa uniquely and powerfully blends her psychotherapeutic training with leading-edge transformative relationship coaching. Calling in "The One" clients are empowered to learn the profound, yet practical, skills of unconditional self-love as the foundation for extraordinary love and partnership with another. "Working with Melissa has been miraculous and magical, actually. Going from the Conscious Uncoupling process to the Calling in "The One" process has been the most logical step. One builds on the other. Melissa said the break-up of my marriage would be the catalyst for huge growth in my life and it's true. What I thought was the worst and most shocking thing in my adult life turned out to be the best thing. Just before week seven of the Calling in "The One" process, I met someone and meeting this wonderful, amazing, man and the connection that feels so right would not have been possible without going through both the Conscious Uncoupling and Calling in "The One" work. I feel so lucky and my world is limitless."